COOKFOX, Olson Kundig, Gensler, Kohn Pederson Fox Associates (KPF), and Morris Adjmi Architects, have all been named as some of the nine architects spearheading Water Street Tampa, the $3 billion project that will give the Florida city a skyline. Spread over nearly 50 acres, 18 buildings comprise the scheme which is being backed by Strategic Property Partners—a consortium between Jeff Vinik, who owns NHL’s Tampa Bay Lightning, and Bill Gates’s Cascade Investment. Though first announced in early July this year, more details, such as the architects involved, have been released. Four New York firms are in on the act. COOKFOX will be designing two buildings: an office and a residential block which will sit atop some retail. KPF has been commissioned for a series of apartments and condominiums which will reside above some retail and a grocery store. Morris Adjmi Architects has scooped arguably the largest commission: a 157-key five-star hotel, a range of luxury condos, more apartments, and retail. 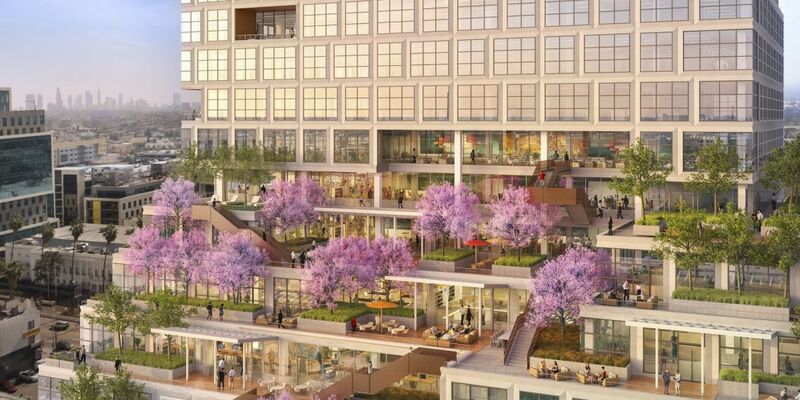 Gensler, meanwhile, will be behind two office over retail projects. Seattle firm Olson Kundig is also doing a similar project and Baker Barrios, from Orlando, are to design a central cooling facility. Greenery is coming via Tampa-based Alfonso Architects, who are fronting the redevelopment vision for the city's Channelside with a new public park, waterfront shops, and living units. Another Flordian firm, Nichols Brosch Wurst Wolfe & Associates from Coral Gables, are designing a 500-key hotel. 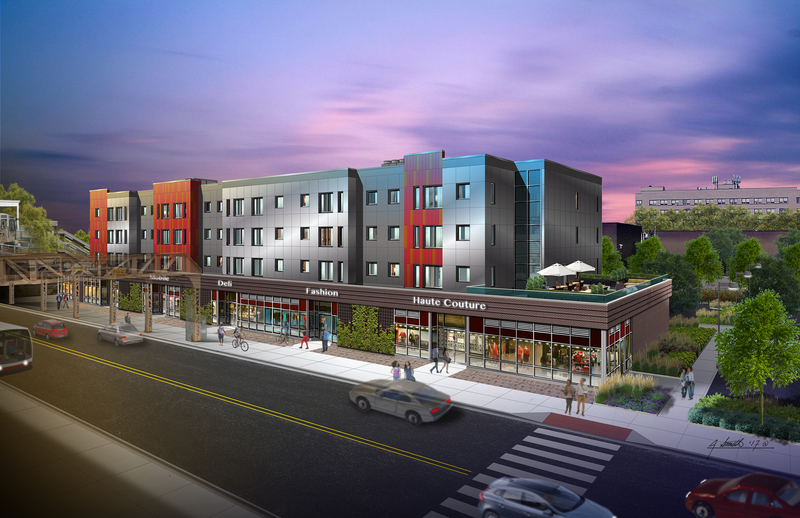 Finally, New Haven, Connecticut practice Pickard Chilton are behind three projects that will office and residential over retail. When finished, Water Street Tampa will boast more than two million square feet of offices. In doing so, the scheme will bring the first new office towers Downtown Tampa has seen in almost 25 years. Located on the Garrison Channel and Hillsborough Bay, the project, according to a press release, intends to bridge the city's cultural landmarks, including the Tampa Convention Center, Amalie Arena (where the Tampa Bay Lightning play), Tampa Bay History Center, and Florida Aquarium. This will be achieved via an array of public parks and spaces that lead to the waterfront where the Tampa Riverwalk, and five-mile-long Bayshore path, can be found. 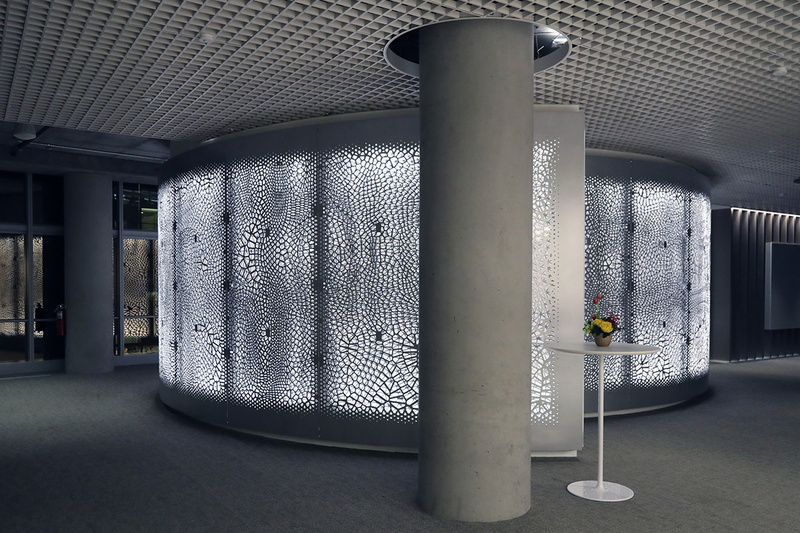 Los Angeles–based Synthesis Design + Architecture (SDA) recently completed work on a 1,100-square-foot sheath for the IBM Watson Experience Center immersion room in San Francisco. The interpretive wrapper—fabricated by Arktura in Los Angeles and executed in conjunction with an overall interior design by Gensler’s San Francisco office—is designed to express data visualizations generated by IBM Watson’s computing powers while also concealing the 350-square-foot sales space from view. For the project, the design team interpreted and translated data maps depicting the volume of digital sales on mobile devices between 2013 and 2015 in order to derive an expressive moiré-patterned cocoon made out of dual-layered, curvilinear CNC-milled aluminum plates. The plates, backed by bright white lights, can be read by Watson Center docents in order to express a so-called “data narrative” in which Big Data—data sets so complex or vast that conventional data processing can’t process them—plays the titular role charting the growing influence of mobile-based sales. Gensler has released new renderings for a proposed mixed-use development in Los Angeles's Koreatown neighborhood that would extend a spur of dense, urban development northward along Vermont Avenue. The development, currently referred to as the “Vermont Corridor Project,” would bring a slew of new uses—market-rate and affordable apartments, as well as retail and office spaces—to the transit-connected neighborhood. The project is being developed as a public-private partnership between Los Angeles County, who owns the land, and Trammell Crow, the developer, in an effort to remediate currently underutilized lots and relocate Department of Mental Health (DMH) employees to more “architecturally prominent, cost-effective” facilities, according to a preliminary planning document. The project will encompass three sites, one of which is set off from the others by about one block. The two southernmost sites will contain a trio of tower structures—one, the existing DMH headquarters building, will be converted into a 172-unit housing complex while the second and third will be erected as new office and parking facilities for DMH staff. 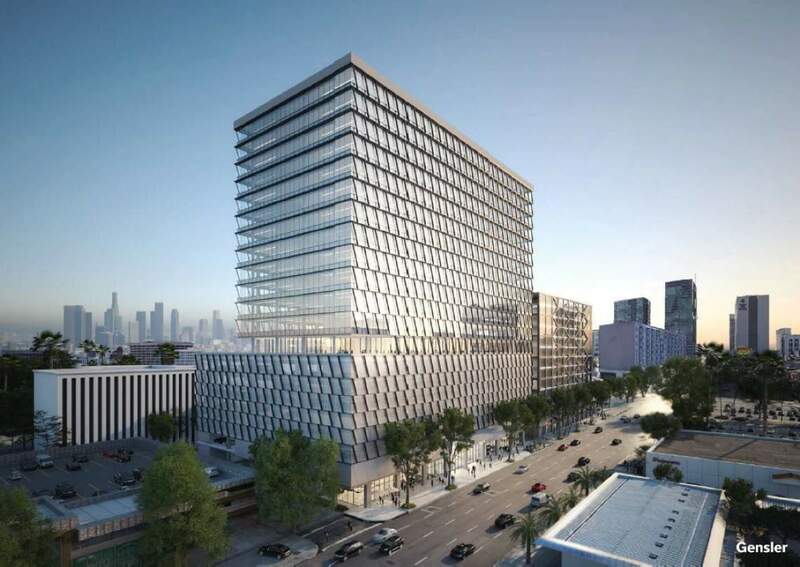 The new 471,000-square-foot office building will rise 13 stories and will include an eight-story, 965-stall parking podium along its lower levels. The office complex will be joined on the site by an 11-story, 768-stall parking tower located just to the east of the main tower. The office complex will contain up to 10,000 square feet of retail spaces along the ground floor, as well as 134 bicycle parking stalls. The structure, according to the new renderings, will be marked along its Vermont Avenue facade by a diagonal grid of parallelogram-shaped window frames, with the podium levels wrapped entirely by the motif. Next door, the repurposed office will feature diagonal exterior bracing, glass-clad facades, and inset balconies. The tower will include retail uses along Vermont Avenue and ground floor units along its backside. The detached parking podium mentioned earlier is being designed in such a way as to allow for the potential future construction of 74 additional units above the highest level, should the city deem the additional homes necessary. The third site, on the other hand, will be developed outright with 72 affordable housing units for senior citizens by Meta Housing Corporation. The complex will be made up of affordable and Special Needs Housing units and will include a 13,200-square-foot community center in lieu of retail spaces. That project is designed as an angular apartment block with push-pull massing and exterior circulation. The project will be located beside an existing stop along the region’s Purple Line, which is currently undergoing a multi-phase extension to the Westwood neighborhood. The Vermont Corridor itself, a north-south artery that runs from the Hollywood Hills to the South Bay, is currently being studied as a potential Bus Rapid Transit route, though some, like Urbanize.LA., have argued that the corridor’s high population density merits light rail infrastructure. The partners behind the project are currently preparing a draft Environmental Impact Report (EIR) in order to receive the necessary approvals. A final construction timeline has not been released. Work has finally begun on a New York City museum that will honor Brooklyn Dodgers legend Jackie Robinson. Originally, the museum was slated open in 2009, but the Great Recession stalled fundraising for ten years. Now the museum, designed by Gensler’s New York office with exhibition design by Ralph Appelbaum Associates, is set to open in 2019. 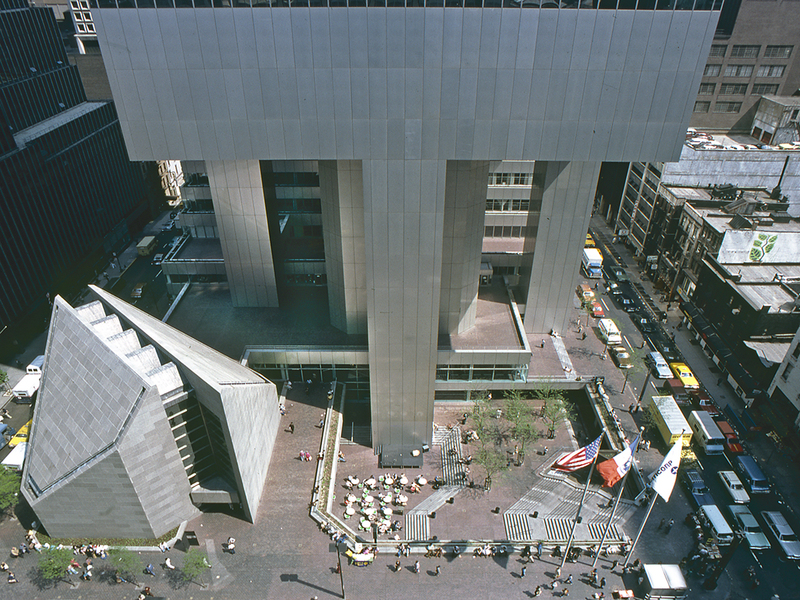 The 18,500-square-foot museum is being built into the ground floor of One Hudson Square, in Manhattan’s Soho district. 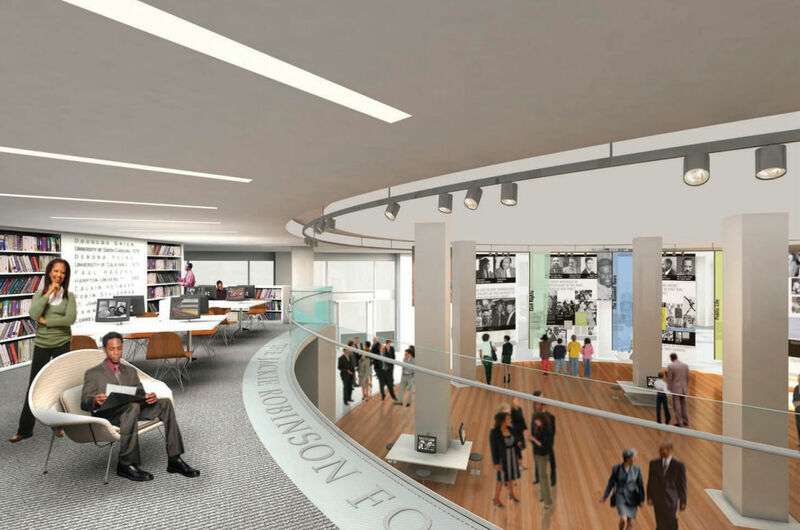 A permanent exhibit will inform visitors of Robinson’s part in the civil rights movement, showcasing Jackie Robinson’s achievements against the backdrop of U.S. history from 1919 to the present. Beyond learning, these panels are functional, retracting to form the walls of an arena setting, or sliding out of sight to create more space for larger events. In these cases, temporary seating can also be installed. More hands-on exhibits, meanwhile will inform visitors on subjects including baseball, segregation, citizenship, personal integrity, and social change. A 75 seat theater will round out the program. "The Jackie Robinson Museum is an opportunity to bring an important cultural landmark to NYC—one that challenges visitors to think about the history of social and cultural change and tolerance," wrote said Joseph Plumeri, chairman of the Jackie Robinson Foundation National Legacy Campaign, in an information document about the museum. "The lessons learned from Jackie’s personal journey will touch people of all ages, educational levels, and cultural backgrounds." In terms of funding, the Associated Press reported that about $23.5 million has been raised to build the museum. The Jackie Robinson Foundation has its eyes set on a total of $42 million to pay for the museum's operating costs (42 was the baseball player's number). Architects Gensler and developer Hudson Pacific Properties have revealed a new set of renderings for a 300,000-square-foot creative office tower complex in Hollywood, California. The project, dubbed EPIC, will replace an existing parking lot and be 230 feet tall. The EPIC tower rises highest and most prominently along Sunset Boulevard and contains ground floor retail wrapping its base. The structure steps up from a wide parking podium section until roughly the midway point of the tower’s height. These stepped sections contain a series of elaborate, multi-level planted terraces that overlook the surrounding neighborhood. Higher up, the tower presents a more formal silhouette and is studded with floor-to-ceiling, square-shaped expanses of glass. These sections are offset slightly from one another and contain divided light window assemblies Interior creative office spaces feature spare interiors, with unfinished concrete floors and a spare grid of square-shaped concrete columns spanning the structure’s broad floorplates. The new batch of renderings includes several views of multi-level interior office spaces and of the outdoor terraces, as well. 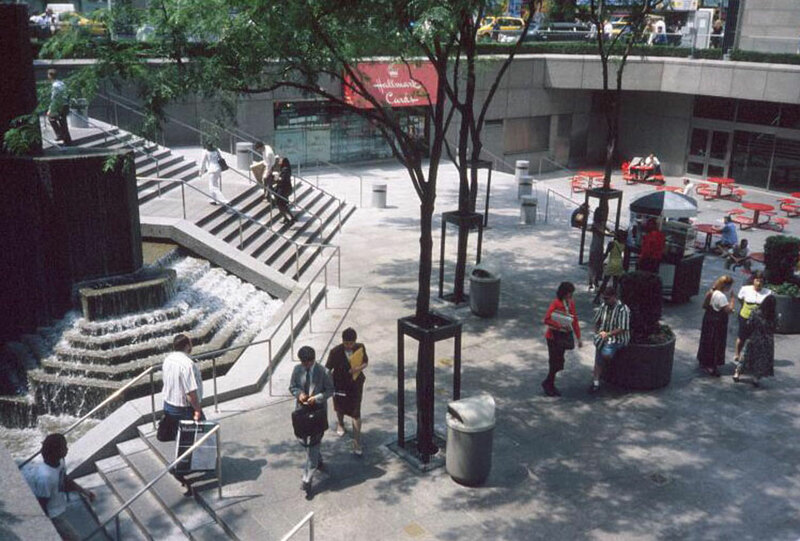 The terrace areas contain a variety of seating configurations, are landscaped with modestly-sized trees, and divided up by variable planted partitions. The tower is being developed as a sister project to the developer’s $150 million expansion of the Sunset Bronson Studios complex directly across the street. That project consists of a 14-story tower containing 400,000-square feet of office spaces, including five-stories of movie, sound, and film production facilities. Both projects join an increasing number of high-rise, mixed-use tower complexes slated for the area, including the recently-completed RCH Studios–designed Columbia Square development and the beleaguered Natoma Architects–designed Hollywood Palladium towers. EPIC is currently in the beginning stages of construction; a final construction schedule has not been completed. Hao Ko, principal and design director at Gensler, will be delivering the keynote presentation at the 2017 Tech+ Expo (May 23, New York City). Like a test rendering of a 3-D model, Gensler’s new headquarters for microchip maker NVIDIA in Santa Clara, California comes haltingly into view across the landscape, a glitchy image slowly gaining resolution. The 550,000-square-foot structure has been in the works since before the Great Recession and after nearly a decade in development, work is quickly progressing on final construction. The structure is on track to open for business in September of 2017—construction photos provided to The Architect’s Newspaper (AN) by Hao Ko, principal and design director at Gensler, indicate that work on the building envelope is almost complete, with the installation of final interior finishes and the landscape underway. Devcon Construction is building the project and Louie International is acting as the structural design engineer. Along the exterior, practically every edge of the wide, triangular structure is canted subtly. A roof profile that appears curved is actually made up of broad, segmented lines. Along two sides, the building bulges at the middle, creating fat, cyclopean bay windows. 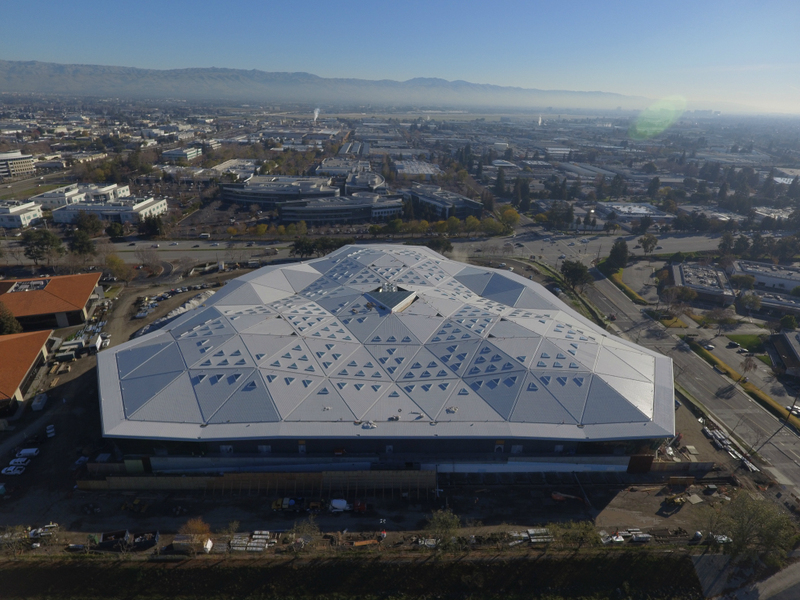 From above, the building is revealed across the landscape as a microchip-inspired paper airplane—a thin roof structure pierced with triangular skylights heaving over the earth. The building is actually capped by a steel truss roof supported by steel beam walls and columns. The deeply-overhanging and undulating roof creates a cavernous interior volume below. Whenever the roof’s folded planes meet at a peak or a valley, they turn downward as large steel section columns that resolve themselves dutifully and unceremoniously by plunging straight into the concrete slab. [interstitia] The construction images showcase a cavernous, two-level interior volume intersected by a series of opaque, faceted cores that interlock with one another and contain communal functions and meeting rooms. The peripheries of each floor plate are lined with work areas. 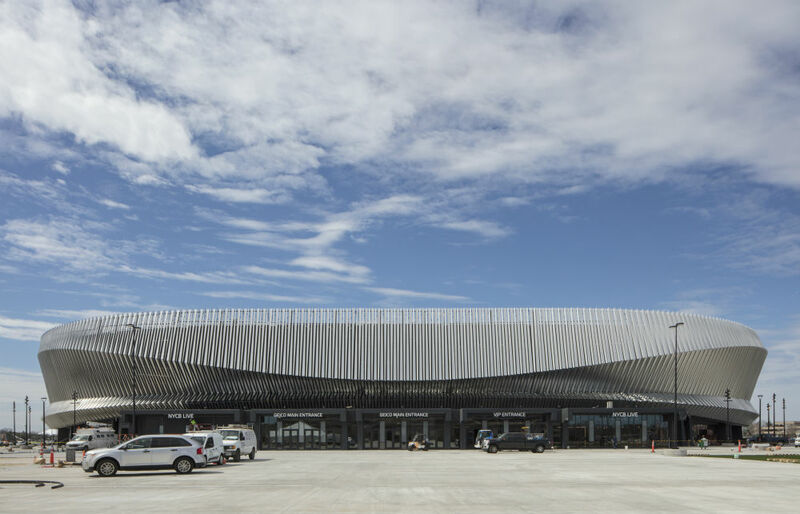 Here, the formal rows of desks and more open-ended breakout spaces will exist in a broad, sky-lit space, framed by triangular roofing members above. The project is notable for the collaborative effort between client and architect that allowed the design team to embed virtual reality-based (VR) visualization into the design process. NVIDIA worked to develop new uses for the graphics chip manufacturer’s Iray rendering engine: the project's iterative daylight simulations involved modeling up to 5,000 light sources per image. Using the technology and cluster computing to pool GPU-power, designers were able to generate renderings in as little as ten minutes’ time, converting the technology into a rapidly-deployable design tool. The technology was also designed to include physically scanned materials in such a way as to capture light intensity and character—rather than to generate only various intensities of color, as is more common in rendering applications. The resulting “simulations” guided the design of the workspaces, where NVIDIA wanted to maximize quality of light. The scheme, as a result, ended up with fewer skylights than originally intended. Simulations showed that not as many skylights were needed to achieve the correct lighting effect designers were looking for. Ko explained over telephone that virtual reality workflow integration allows for a project to take on more life, saying “previously we only had artists’ renditions of what a space could feel like.” Ko added that with VR, the architects at Gensler wanted to figure out how could get “more reality” into the design experience. Scott DeWoody, Gensler’s creative media manager, said that the use of virtual reality was integral to the NVIDIA project and that the firm had “found a use for it at every spot in the design process.” VR is something that is not only easy to adopt into the traditional office workflow, DeWoody explained, but once rendering times are reduced, the tool can result in better overall design quality, as designers “render everything around them, instead of just (rendering) an open scene.” Ko agreed that the advanced simulation techniques add more to the design process than traditional renders, saying, “I’m old school—I came in the profession back in the day when we were building big physical models, to understand size, scale, and experience. Prior to having VR, it was always a challenge to reconcile how you do that.” Technology is driving rapid changes in architecture and construction industries and the building industry, in turn, is a driver of the U.S. economy. Tech+ Expo brings together, for the first time in NYC, industry and technology leaders that are shaping the future of the built environment. 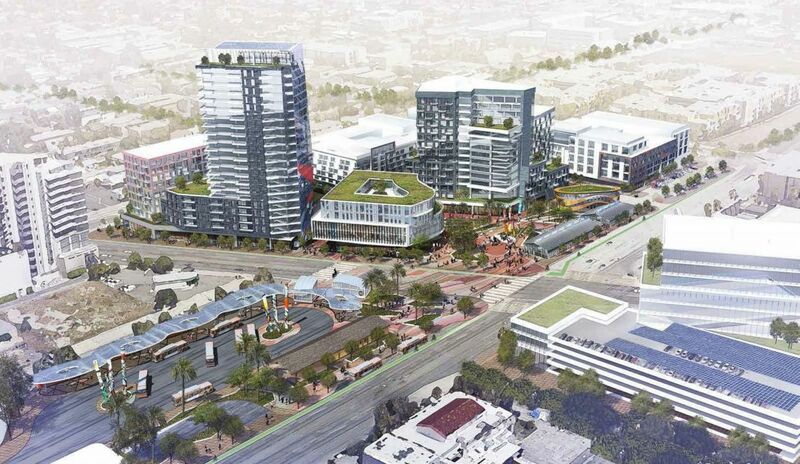 Areas around the only heavy rail transit stop in Los Angeles’s San Fernando Valley are poised to change dramatically as a new plan calling for the addition of over 1,500 residential units to the area coalesces. The redevelopment plan—orchestrated as a joint proposal by developers Trammell Crow Company, Greenland USA, Cesar Chavez Foundation, architects Gensler, and landscape architects Melendrez—also aims to bring roughly 450,000-square feet of offices and 150,000-square feet of ground-level commercial spaces to a collection of lots owned by the Los Angeles Metropolitan Transportation Authority (L.A. Metro) surrounding the North Hollywood Red Line station. The plans will also consolidate a series of bus turnaround areas around the station into a single transfer complex. 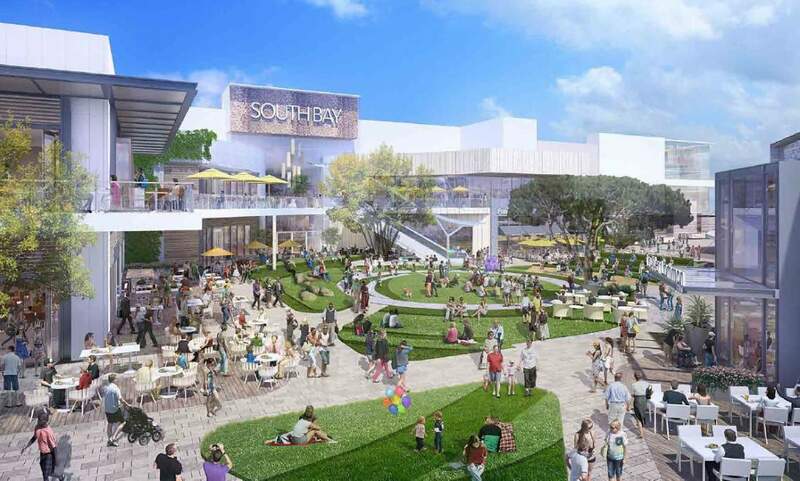 Urbanize LA reports that the plan, to be detailed in an upcoming presentation by the development to L.A. Metro’s San Fernando Valley Service Council (SFVSC), comes after Trammell Crow and Greenland had initially proposed two competing schemes. A rendering of the proposed project showcases a collection of mixed-use towers surrounding a series of open plaza areas and the new bus turnaround. 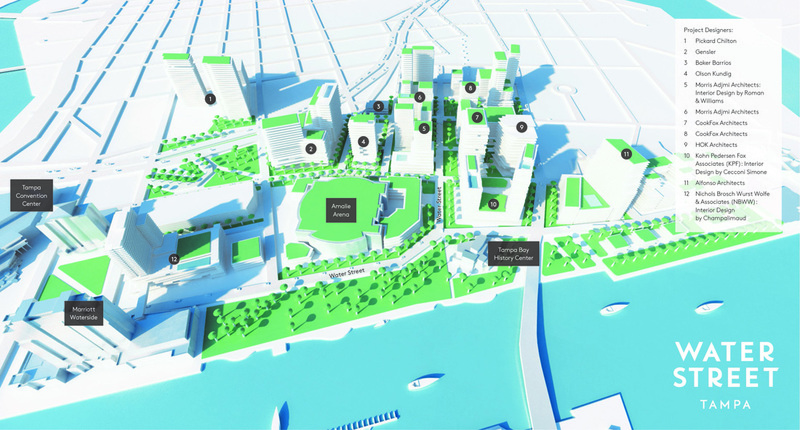 The renderings depict the tallest tower as a podium-style structure located at the northern corner of the site, with a much shorter, perimeter block structure topped with a green roof standing beside it. The back corner of the site is populated by several courtyard apartment building complexes and a mid-rise housing tower. Another tall tower will be located on a corner opposing the main portion of the development. The complex is designed as a Transit Oriented Community (TOC), a notion that builds on transit-accessibility at the core of Transit Oriented Development (TOD) projects by including “holistic community development” that engages not only with mass transit but also facilitates pedestrian activities, according to the report that will be shown to the SFVSC. The plan comes out of a series of community scoping meetings conducted by L.A. Metro and the developers that uncovered historic preservation of the surrounding NoHo Arts District and balance between height, density, and pedestrianism as major community concerns. As such, the development will aim to engage and building upon existing street life in the pedestrian-heavy node while also adding generous paseos between various structures to create pedestrian paths around the station. The project will also include an unspecified number of affordable housing units. A detailed timeline for the project has not been released.